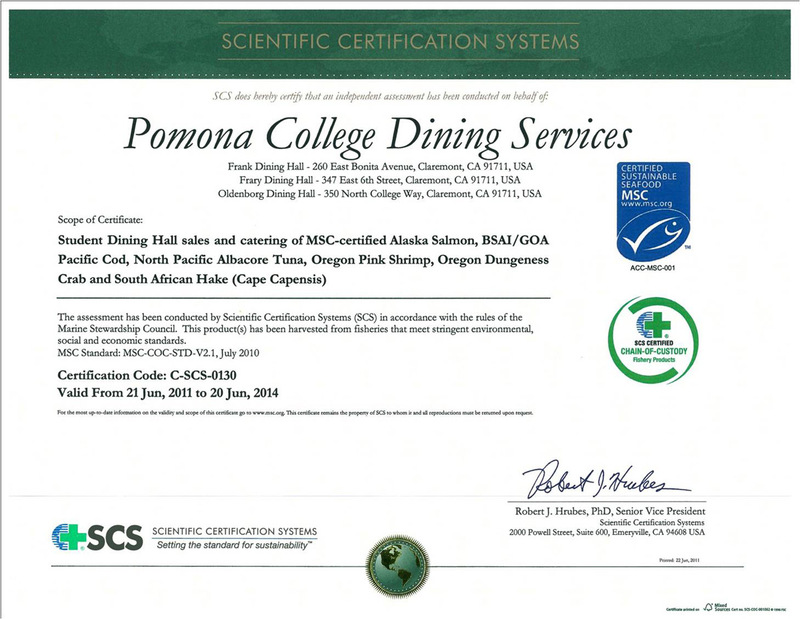 In summer 2011, Pomona College Dining Services became the first liberal arts school to be Marine Stewardship Council (MSC) Certified. MSC's “Chain of Custody” certification assures that in every step of the chain – from the fishers, to the processor, to the distributor and the end user – MSC-certified seafood is not mixed with or substituted for non-certified seafood. Even thought we did not renew our MSC-certification in 2016, Pomona is still committed to using MSC-certified seafood products in the dining halls. The MSC standard is based on three core principles: health of the stock; impact on the marine ecosystem; and management of the fishery. For more information on our local tuna harvester, please see Local Farms and Businesses.